The development and future deployment of automated vehicles is one of the leading issues that the car industry, the telecom and software industries, policy makers and regulators are facing today. Automated vehicles have the potential to create safer, more efficient and environmentally friendly transport, which could reshape entire sectors of the economy and improve the lives of millions of people, notably those unable to drive or with limited access to mobility. However, many questions relating to safety standards, traffic rules, insurance regimes, cybersecurity and data protection, to name just a few, must still be addressed before the mass introduction of these vehicles to the market. With this in mind, UNECE’s Global Forum on Road Traffic Safety (WP.1), the only permanent intergovernmental body of the United Nations dedicated to road safety, has adopted a non-binding legal resolution serving as a guide for the countries which are Contracting Parties to the 1949 and 1968 Conventions on Road Traffic in relation to the safe deployment of highly and fully automated vehicles in road traffic. The resolution offers recommendations to ensure the safe interaction between automated vehicles, other vehicles and more generally all road users, and stresses the key role of human beings, be they drivers, occupants or other road users. While the Global Forum intends to amend the resolution as technology develops and as experience accumulates regarding the use of highly and fully automated vehicles in road traffic, there have been calls for turning attention to the legal contents of the 1949 and 1968 Conventions on Road Traffic. "With this resolution, we adapt the guiding principles of the 1949 and 1968 Conventions on Road Traffic to today’s environment, paving the way for the safe mobility of the future, for the benefit of all road users" said Ms Luciana Iorio, Chair of WP.1. 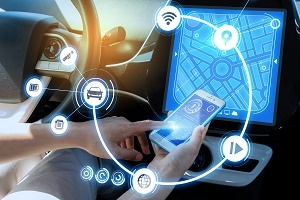 UNECE’s World Forum for the Harmonization of Vehicle Regulations also continues its ongoing work on the development of technical provisions for automated vehicles. At the first meeting of its newly established Working Party on Automated/Autonomous and Connected Vehicles (GRVA - 25-28 September 2018), members of the group, which include all the main car manufacturing countries which are contracting parties to the 1958 and 1998 Agreements on vehicle regulations, started to address a variety of technical issues, such as technical requirements; cyber security and software updates; and innovative testing methods, in particular the use of simulations.